Through Apple's developer program, users have long been able to register the Unique Device Identifiers (UDIDs) for up to 100 individual devices to qualify them for testing Apple beta software and their own apps. Some users saw that limit raised to 200 several years ago, but the higher limit was never officially implemented by Apple. With yesterday's move to merge Apple's developer programs, the company has also rolled out new limits for registered devices, as noted by a number of MacRumors readers. The total limit is now 500 devices, but it is broken down by device type with up to 100 slots each for iPhone, iPad, iPod, Apple Watch, and Apple TV devices now available. A number of readers have highlighted the inclusion of Apple TV as a supported device, believing it points to third-party app development for the set-top box as had been rumored for launch at WWDC but was reportedly pushed back just weeks ago. The Apple TV has actually been a supported device for UDID registration for quite some time, and Apple has regularly offered developers betas of upcoming Apple TV software for testing. Even so, the limit of 100 Apple TVs per account seems generous for simply testing Apple's beta software, so the question is whether the Apple TV was given the same limits as other device types for simplicity's sake or if the company is setting the stage for broader third-party app development for the platform later this year. As was the case previously, once a device is registered it counts toward the user's limit for the remainder of the developer subscription year, preventing users from rapidly deleting and adding devices to game the system. So maybe Apple didn't want to announce a new Apple TV (or its successor) at WWDC because they wanted an event all to itself? I'm cool with that. I'm anxiously awaiting (as many people are) to see what Apple has up their sleeves. There's a part of me that thinks Apple should buy Nintendo, then merge the AppleTV & Nintendo Console. Apple would then have a great media device with some awesome exclusive Intellectual Property. Nintendo would then also benefit from access to Apple tech that could be integrated into the console. Yes I know it won't happen, just one of those crazy thoughts that floats about in my head. Hey, good observation. Why would we need to test 100 Apple TV devices unless we can develop apps for it. I don't think it will get an event all to itself but it will probably be the +1 unveiling at the iPhone event, much like the Watch was last year. I don't expect they'll announce Apple Watch 2 for at least another year. I also don't think something like that would show up at the iPad event if they are going to also unveil the iPad Pro, but that would be my second choice for unveiling. The unfortunate thing about not unveiling it yesterday was that developers won't be able to work on making apps for it yet, so we'll still have to wait a while for those. As for Nintendo, I think that would be a good pairing for Apple because Nintendo is family friendly and their games don't usually utilize high-end graphics which is perfect for mobile platforms. They're also innovative when it comes to unique motion controls and using touch displays. Nintendo also needs a foothold when it comes to media and related content in the living room. However Apple could shoot itself in the foot by alienating some third party developers on iOS and some of those are the same developers who have been leaving Nintendo for platforms such as Xbox and Playstation. Having an Apple game console would be pretty neat though. Do Japanese companies usually sell to foreign companies? Is that looked down upon in their culture? Might also be some regulations to clear. It's a neat thought but I doubt it will ever happen. If the AppleTV was really going to finally allow app development then not showcasing at WWDC would be dumb. It seems like they reallllly stretched out the Beats announcement because they had to cancel 'something' at the last minute. I just hope we won't have to wait until next WWDC for it. 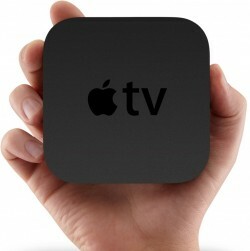 I'm sure Apple has huge plans for Apple TV. I don't think we'll have to wait too much longer to learn what those plans are. I told friends and family to hold off on buying an AppleTV because of the widely expected refresh at WWDC. I can somewhat understand them pushing it back if they couldn't reveal what they wanted to, but it was a pretty big blunder to clearly highlight the AppleTV on the WWDC posters and invitations with "The epicenter of change" tag. Steve would have blown a fuse over that. "Real artists ship". The fact that the AppleTV is as far along as it is and still doesn't have developer support is ridiculous when the AppleWatch got it almost out of the gate. ... So this means that Apple TV will be getting at least a redesigned OS that will allow 3rd party apps!?! Down on the membership section of the new Apple Music page, the graphics detail which devices will get access to the service and when, noting that Android will be in the "Fall". However the text above the graphics notes that Apple TV will also have access in the Fall. Why not 30 June like the other devices? Certainly Apple could have a current-gen Apple TV icon ready to go to replace Beats come 30 June when Music goes live...or could it be that it will roll out in an Apple TV App Store with a new device in the Fall? The fact that they couldn't even put an Apple TV image along with iPhone, Watch, Mac and PC makes me think that something is up.